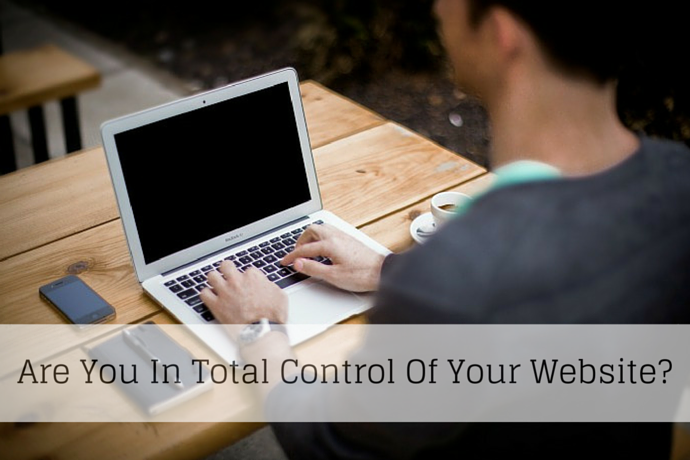 Are you in total control of your website? That’s the subject for today. The reason I ask are you in control of your website is because, as a rule, most of us are not. When we need website developing, we contact a web development company or a graphic designer or a marketing company, something like that, and we ask them to make us a website. They tell us what we need. Now, what I mean by “in control” is you tell them what you need. They shouldn’t be telling you. Perhaps, they will give you advice and give you some best practice such as content pages you need, an about page, a contact page, information for the home page, style of images and so on. But, you need to be telling them what is the purpose of the site and what you want to get out of it. Now, better still, you should develop your own website. It is actually easier than you think. One of the issues with using a web design company is that they are a design company and your interests of what the website is actual for are probably not quite aligned with theirs. So, I suggest you look at getting control of your own website. I’ll mention our sponsors later – Rainmaker. We use Rainmaker for our platform and we, obviously, create, upload all or our own information, pages, blog posts, images, everything. But, we decide what’s going up, so it works for us and it’s not just a brochure online. Quite often, with a web design company,their aims are not in line with yours because they just want a great looking website. But, the look of the website is not what it’s all about. It’s what’s in it, what does it do, what does it do for you, how does it further your marketing aims, is it earning its keep? So, consider that. Now, we go in to more depth on that elsewhere on the website and we have lots of information about this. But we’ll talk more another podcast. But, for today, Monday, it’s book day. And, I’m going to recommend a classic, a golden oldie. It’s by a guy named Dale Carnegie. 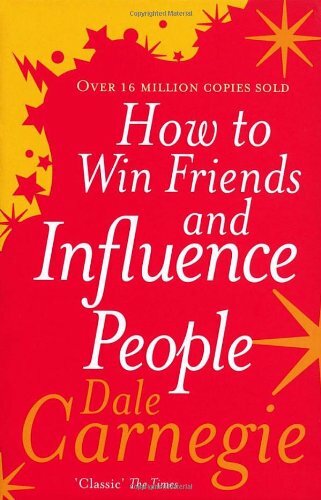 It’s called “How to Win Friends and Influence People?” It has sold, I think on the cover it says over 16 million books, and that is no fluke. People are still buying it today because it’s still relevant and it still works. Go visit Amazon, visit your bookstore, wherever, they will have it. It’s a classic book. I recommend it. Earlier, I mentioned Rainmaker. They are our sponsors. They host the podcast. They… Or, that goes off to iTunes from their site. They host our website and it – We are in total control. Go have a look. See what Rainmaker can do for you. That’s it for today. I’ll talk more about, about being in control of your website in further podcast. But, otherwise, I’ll see you tomorrow. Bye-bye.